Many people think that Our Lady of the Holy Rosary is called Our Lady of Fatima. But when Our Lady appeared on May 13th 1917, she told Lucia that she was Our Lady of the Holy Rosary. 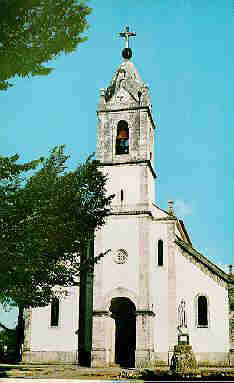 It was because of the town Fatima in Portugal, where the apparitions took place, Mary became known as Our Lady of Fatima. 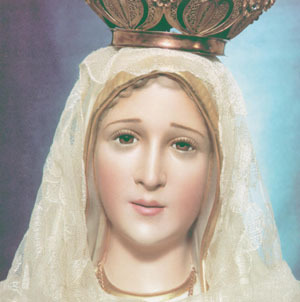 If you go to the original church in the town of Fatima where Lucia, Francisco and Jacinta would attend the Holy Latin Mass, you will see a statue of Mary with the words written on it: “Our Lady of the Holy Rosary”. 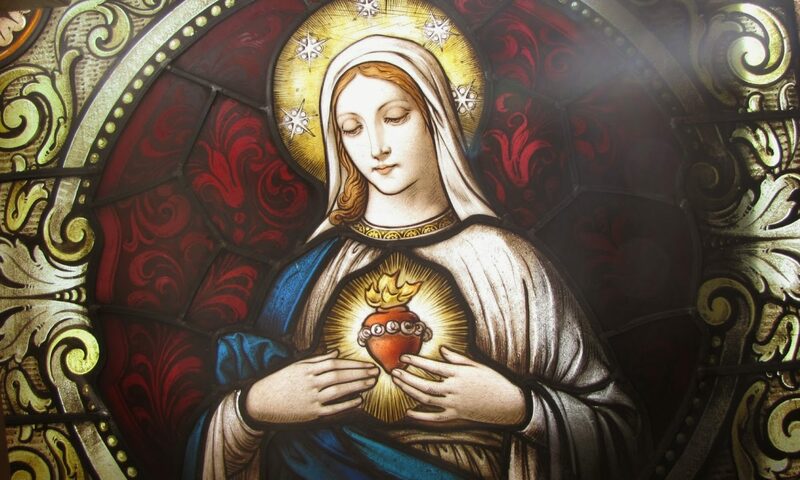 This is important because there is a connection between Our Lady of Victory, from the Battle of Lepanto, to Our Lady of the Holy Rosary of Fatima. We see that the feast day of Our Lady of the Holy Rosary is October 7th. the day when the victory was won at Lepanto against the muslims. Why I am bringing this up is to show that the only reason why the angel of Peace and Our Lady appeared to Lucia de Jesus dos Santos and Francisco and Jacinta Marto was to plead for the praying of the Holy Rosary. In October of 1910 there was a revolution in Portugal when the Catholic King Manuel II was deposed. The liberal First Republic of Portugal was established by the masons. As in the French Revolution, these government officials hated the Catholic Church. The people of the Enlightenment and the masons believe in Deism. This means that the “great architect in the sky” wound up the universe and left it to exist with no divine intervention. To them there can be no miracles since their god does not interfere with our reality. So they do not believe in miracles that proved that God exists and who is present to us when we ask His help. Again in the autumn of 1916 the angel, when the children were in Lucia’s back yard, appeared. This time he told them he was the Guardian angel of the Portugal. Again, in this, we see the importance of prostrating and kneeling when receiving Jesus (God) in Holy Communion. And these apparitions of the holy angel were meant to prepare for Mary’s coming to ask them to pray the Holy Rosary. From the first time Our Lady appeared at the Cova da Iria (May 13, 1917) to the last time she appeared (Oct. 13, 1917), Mary always told the children to recite the Holy Rosary every day (the 15 mysteries). On that first day, she also told them why they were to pray the Holy Rosary every day: “to obtain peace for the world and the end of the (First World) war“. 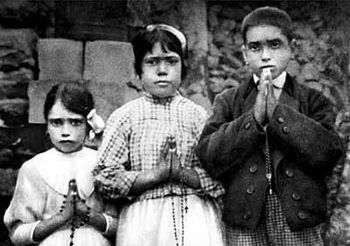 On July 13 she asked them to pray the “Fatima prayer” after each decade: “Oh my Jesus, forgive us our sins, save us from the fires of hell, and lead all souls to heaven, especially those in most need of thy mercy”. The great miracle of the Sun spinning in the sky, stopping and drying off all the wet pilgrims took place on October 13, 1917. This great day of miracles, including Jesus and St. Joseph appearing, took place on the masons favorite day. They consider Friday, October 13 to be very special for them because that is the day all the Knights Templars were ordered to be arrested (including Jacques de Molay the grand knight) by King Philip IV of France in 1307. 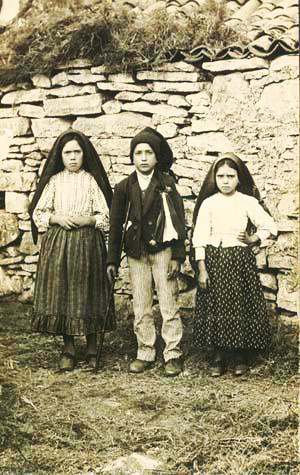 So when these great miracles happened in Fatima on October 13, the masonic government of Portugal knew very well what God and Mary were doing to prove to them that the Catholic Church (which they were persecuting in Portugal at this time) was truly from God and that God intervenes in history through Mary and miracles. The message that day from the Queen of Heaven was: “I am the Lady of the Rosary, build a chapel in my honor where the Rosary will be recited every day“. Here again we have God showing us the importance of praying the Holy Rosary every day. May we receive the great protection and miracles, that God wants to give us through Our Lady, as we devoutly pray the 15 traditional mysteries of the Holy Rosary every day. 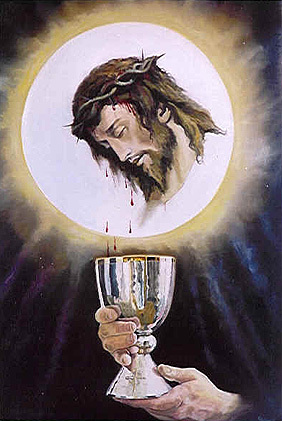 The luminous mysteries were introduced by Pope John Paul II. They are meditating on the “active life of Jesus between His childhood and His passion”. As important as these events are for us Catholics, the Joyful, Sorrowful and Glorious mysteries are based on emotional participation in Jesus’ Joy, Sorrow and Glory along with Mary. There are so many other events surrounding the annunciation, birth, life, passion, resurrection, apparitions, ascension of Jesus, that could also be used to make up 5 or 10 more mysteries. But Our Lady gave us the 15 mysteries that have been prayed for at least 800 years. Again, why do we need to improve on the Mysteries of the Holy Rosary that Our Lady taught us? I trust her and just pray the 15 traditional mysteries every day. Mary pray for us!